Conspiracy theorists the world over look at major financial centers for signs of secret societies. Long before IIluminati, Masons, or even Templars had instituted their secret handshakes and hidden brotherhood, ancient Rome had its own secret societies. 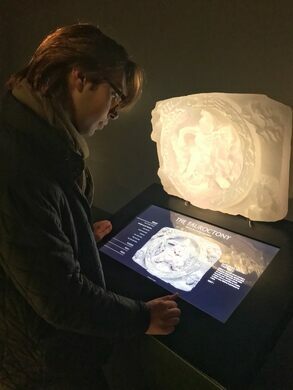 Mere blocks from the financial epicenter of the London Stock Exchange in the center of the city of London lies the reconstructed remains of a Roman temple to the god Mithras, whose mystery cult was known to exist all over the empire. As would be expected of a secret society that came to power almost two thousand years ago, not much is known of the secret cult surrounding Mithras. Even in antiquity the rites were kept shrouded in secrecy, and male-only membership was proven with secret passwords and handshakes. Mithras is similar in name to Mithra, a Zorastrain angelic being, and Romans associated Mithras with Persia, and hence Zorastrianism. However, modern scholarship refutes the direct link to Zorastrianism. The Roman deity, Mithras, was worshiped as the god of the sun. The temple remains are Roman in origin and contain other artifacts relating to Roman deities including Minerva, Mercury, and Bacchus. What we do know is that Mithras was a hero figure in a battle between good and evil, and that he is often depicted in a cave slaying a bull. 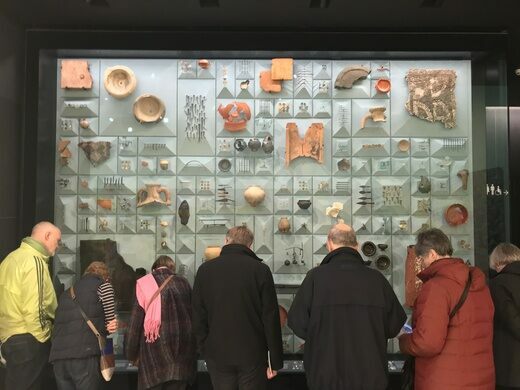 He was popular with the military and political elite, so garrisons all over the Roman world were known to have temples dedicated to Mithras, called Mithraeum. 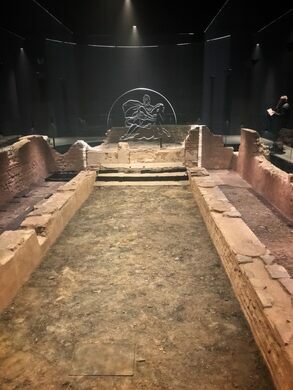 The Mithraeum in Londinium was built in the late second century, but seems to have fallen out of use by the early fourth century when the temple was filled with religious statues and apparently sealed. This temple was easily ignored; as was common with Mithraeum, it was built 18 feet below street level to create a symbolic cave emulating the one where Mithras slew the bull. 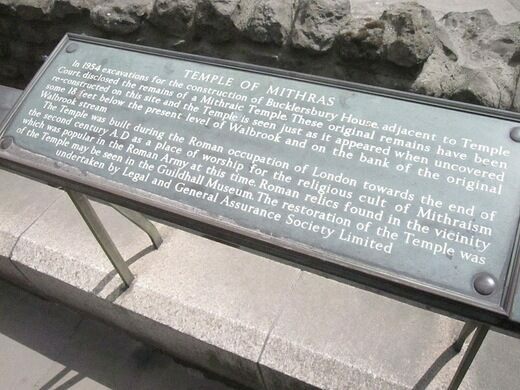 The location of this temple to Mithras is hardly surprising, as the City of London is roughly in the same location as the Roman settlement in Londinium, on the banks of the Walbrook - a long lost tributary of the Thames. A statue of Mithras slaying the Astral Bull was found as early as 1889, but the temple was not finally unearthed until 1954 during the construction of a modern office development, Bucklersbury House. 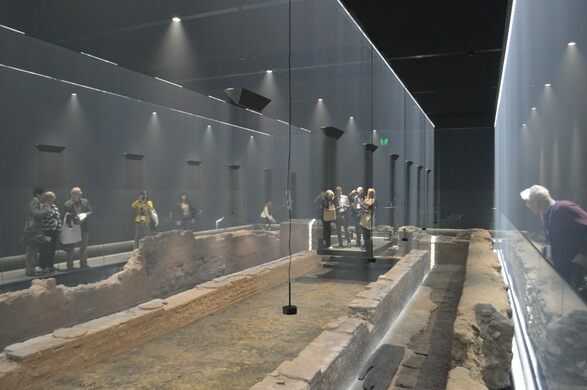 Subsequent development in London’s financial district lead to the Mithraeum being disassembled and rebuilt on Queen Victoria Street, where it could be seen by all at slightly above street level. 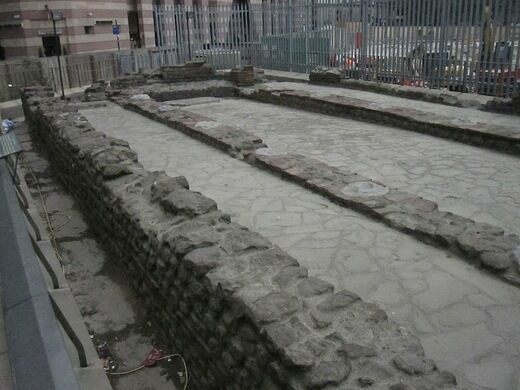 In 2009 the Temple was removed, with the intention of relocating it in the new Walbrook Square development on the site of the soon to be demolished Bucklersbury House. 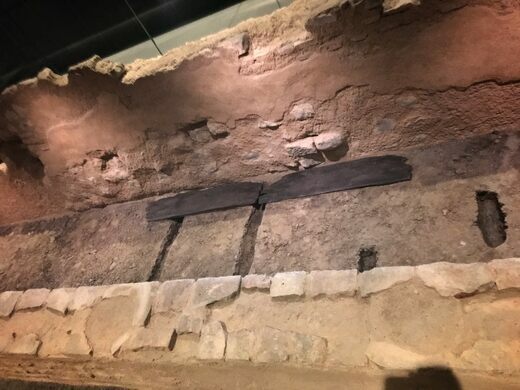 Long legal wrangles have prevented this, but the Temple has recently been reassembled near the site it originally occupied. Take the Underground to Bank Station. Follow down Victoria Street towards Mansion House Station, it will be on your left just past Budge Row.